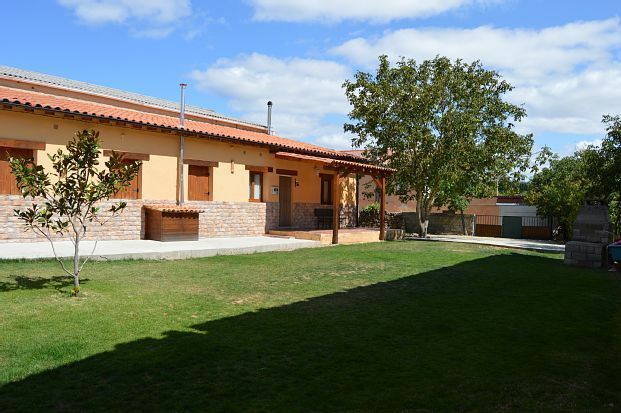 El Establo is a beautiful rural house 58 km north of Burgos, in Quintanaelez, a quiet village of La Bureba at the foot of the Obarenes Mountains. On a single floor of 120m and with 600m of enclosed land, with parking for cars. Located within the urban area, in a very quiet area. It has a kitchen with dishwasher, living room with fireplace 40m with TV, DVD and music equipment, 2 bathrooms, 3 bedrooms with double beds, 1 room with two beds 90, living room with TV, DVD and sofa bed in the exterior porch of 20m and barbecue. In total it has 8 seats. The rooms have sheets and towels. Dogs are allowed, maximum two.